Another long match is nearing its end. Both you and your fellow Thaumaturge opponent are at a very low level in health, having been frozen nearly to death by blizzards and repeatedly being trapped in large blocks of ice. Your opponent has just placed a Snow Shield around himself, which he expects to keep his 300 health safe for just long enough to finish you off. But it is not to be. After all, you still have three Power Pips glowing beneath your feet and another way to kill. Smirking, you wave your wand – not in the telltale snowflake pattern of Thaumaturges, but in a different, darker shape. 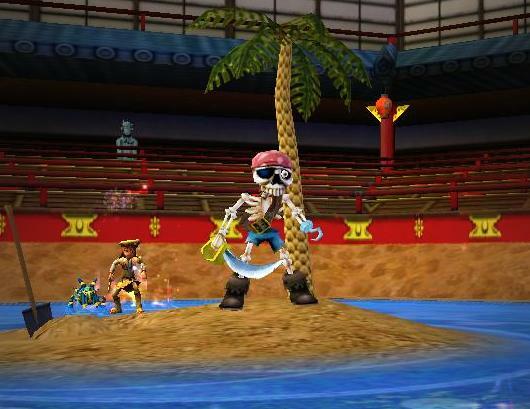 The arena floods with water and then an island emerges… from which a bony warrior dressed in pirate garb emerges. The bony figure shouts something unintelligible in piratespeak and goes after your opponent with a sword, completely bypassing the shield. The sword attack deals 426 damage even through your opponent’s thick armor, which is more than enough to finish him off. 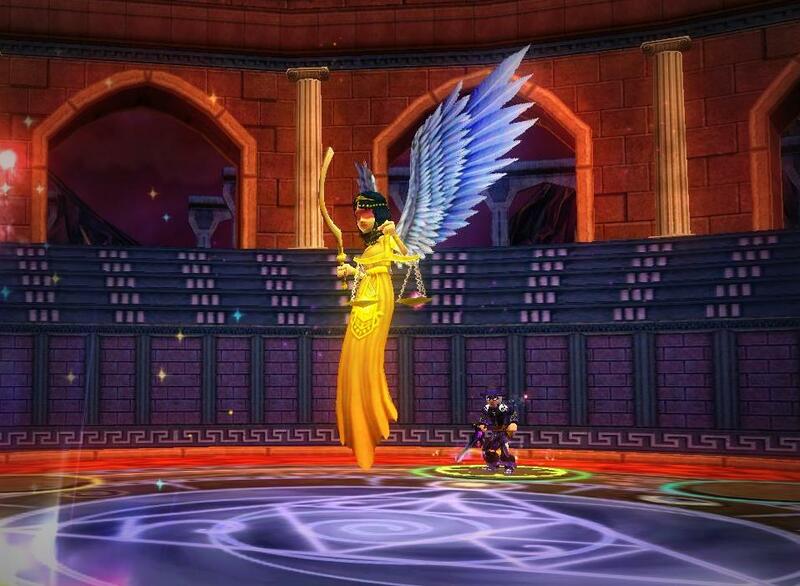 As the anecdote above shows, Mastery Amulets can expand your options in Wizard101, giving you more ways to play – and increasing your efficiency. By far the most common Mastery Amulets I see in mid-level PvP are Balance (enabling quicker Reshuffles, for example) and Life (which, of course, lets you heal). Now, while those are great reasons to choose amulets, if you are using a Mastery Amulet for only a single card – or even for a single type of card – I would say that you are not using the amulets to your full advantage. There are, essentially, three types of off-school spells that you can cast more efficiently with a Mastery Amulet: minion killers, sucker punch/finisher attacks, and utility spells. I will briefly discuss each type of spell and then analyze each of the seven amulets’ spell options. The gold standard for killing minions at midlevel has always been the four-pip AoE spells (Blizzard, Sandstorm, Humongofrog, Meteor Strike) which, when enchanted with Monstrous, will do enough damage to kill a ‘standard’ 400 HP minion while putting a little pain into your opponent. However, this is not the only pip-effective way to kill a minion. Looking closely, assuming you have arena gear boost, it takes 328 base damage to reach the 400 needed for minion-killing… and 313 if your pet has the Pain Giver talent. What this means is that with one exception (Ghoul), every trained two-pip spell, when enchanted with Monstrous, will kill a minion for one less pip than it takes to summon it. As far as Death is concerned, Vampire’s 350 base damage is above this 328 threshold, which means that a regular Vampire can kill a minion and also heal you for a bit over 200 damage (slap Monstrous on it and it will heal nearly as much as a Sprite, completely ignoring whatever Infections you have on you). There are a few minions which have a bit more than 400 HP: both Myth and Storm have 700 HP minions available at this level (yes, Death minions can have significantly more HP, but they are not really pip effective in general) which means you now need 574 base damage, or 547 if you have Pain Giver. Against such minions, many players would go for double AoEs… but there are alternative routes too, such as Monstrous Scald or Monstrous Storm Shark (the latter of which is only 3 pips). My preliminary suggestion for minion killers is that between your main school and your amulet school, you should have at least two efficient ways to kill minions, preferably including at least one AoE. Because Arena Gear gives only general damage, you have no special advantage in dealing damage from your own school besides the power pip advantage (and whatever blades, traps, and bubbles you may have cast) at midlevel. Therefore, it often makes sense to be able to deal damage from your amulet school, which also takes advantage of your Power Pips. My top anecdote involved using a Death Amulet to cast Monstrous Skeletal Pirate, which deals 605-685 base for 5 pips, as a finisher. 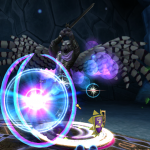 Such off-school attacks can often catch your opponent off guard, especially if they either have no shields or you can remove them in advance (with Death, even if your opponent casts a shield earlier, you can always remove it with, say, a 1-pip Death Bat TC or by equipping a Death wand). Every school has at least one awesome, pip-effective midlevel sucker punch or finisher available either trained and then enchanted with Monstrous (Skeletal Pirate is a prime example; Ninja Pig is even deadlier if you farmed for it) or for sale at the Bazaar (Immolate and Judgement are prime examples). Even better, it is possible to use your buffs to boost these attacks: if your main school and amulet school are both of the same family (elemental vs spiritual) then the tri-blade you used to boost your own school’s spells will work just as well for your amulet school’s spells. (A Life Wizard with a Spirit Blade can boost both Skeletal Pirates and Ninja Pigs). Ideally, you want to be able to take advantage of your amulet school’s options for an awesome finisher, especially if your school (such as Adept Myth playing under Central rules) does not have a hard hit of its own. There are two utility spells that I should mention first which every school gets – but most of the time you are probably better using your own school’s version: bubbles and minions. 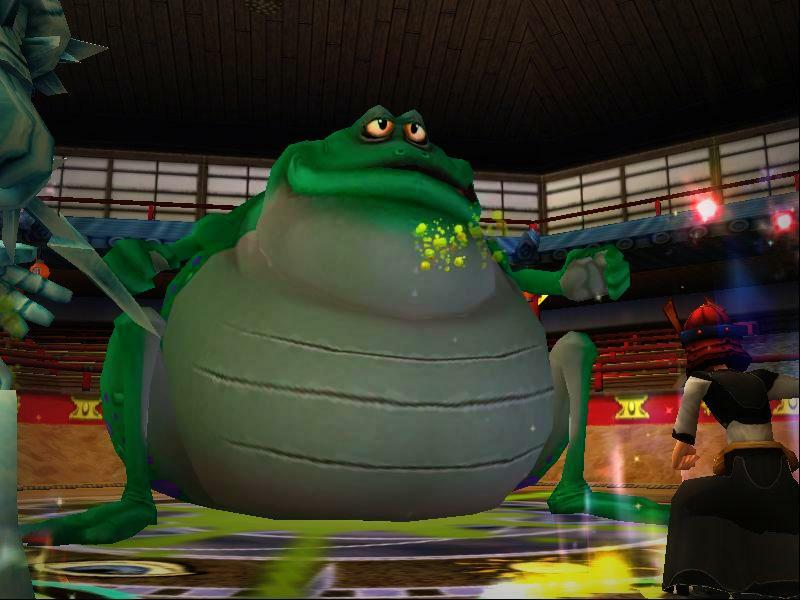 if you are going against your own school (in which case an amulet school bubble might help you relative to your opponent if your opponent is wearing a different amulet – and the only way they will likely overwrite it is with a bubble that boosts your main school’s attacks). Most of the time, you’re better off with your own minions – which are designed to help your specific school – than taking up precious side deck space (especially at Adept, where you are limited to 12 treasure cards in your Deck of Chivalry) with another school’s minions. Apart from those utility spells, the main types of utilities you can get are heal spells (mainly from Life, though Balance and Death have their own… and in Link, Fire has a ‘heal’ spell of sorts which has uses WAY beyond the face value of the heal- except it’s too rare to be a PvP fixture in TC form. Dispels are useful because many are available in one pip versions and they are only useful against specific opponents, the only school whose dispel might make an amulet more worthwhile is Life: bringing Entangle down from 2 pips to 1. In short, utility spells should definitely be taken into consideration when you make your amulet choice. Let us know your favorite or least favorite use of amulets in PvP, and if you have questions, feel free to ask us in the comments.